Retama Park concluded its Fall Thoroughbred on Saturday, November 7. The track reported mixed results, with a 9% increase in average daily live attendance; a 15% drop in average daily live wagering, and a modest 4% decrease in average daily export wagering. On-track wagering on Retama Park’s live product reflects a trend for horse racing tracks around North America. Retama’s export results were significantly better than most tracks nationally. 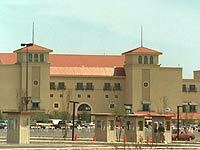 Retama Park did make significant strides in expanding the track’s image on the national scene. Prominent Kentucky breeder and owner Ken Ramsey shipped in horses to take both of the tracks major races, the Skyy El Joven Stakes and the M2 Technology La Senorita Stakes, using them as preps for the 2009 Breeders’ Cup juvenile turf races for his winners and vaulting Retama Park into the national spotlight. Leading jockey Julien Leparoux rode for Ramsey at Retama Park, his first ever appearance at track, and then went on to capture three Breeders’ Cup races and take the Bill Shoemaker Award as outstanding jockey of the two-day Breeders’ Cup World Championship event.